I told them I could not do what they do here, not even for ten minutes. 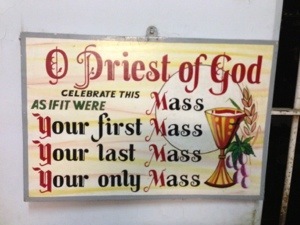 I told them they make me proud to be a Catholic! Another great bunch of folks surrounding Tim Staples, my wife Janet and I. 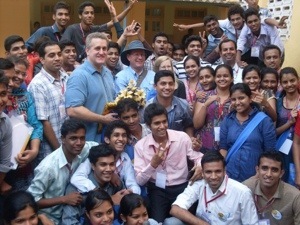 This was the Varsai India Youth Convention with wonderful Catholic Youth in India. 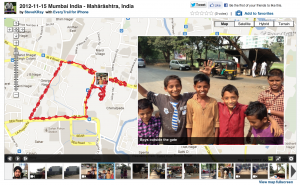 My run through Mumbai yesterday, exploring this exotic and poor country. Filthy and unfamiliar to any American, yet friendly and generous with ready smiles. Join me through the interactive map with videos and pictures. 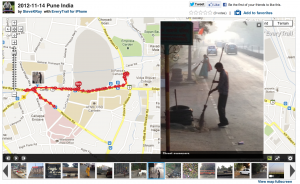 My run through Pune India which is about 4 hours drive east of Mumbai. 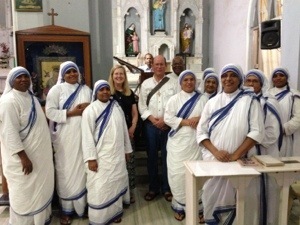 Tim Staples and I spoke at the Pune Cathedral and I had a little time to go out exploring. Enjoy the interactive map, with videos and pictures. Soon I will add new runs through Nagaland India, Hyderabad India, Muscat Oman and Dubai EU.